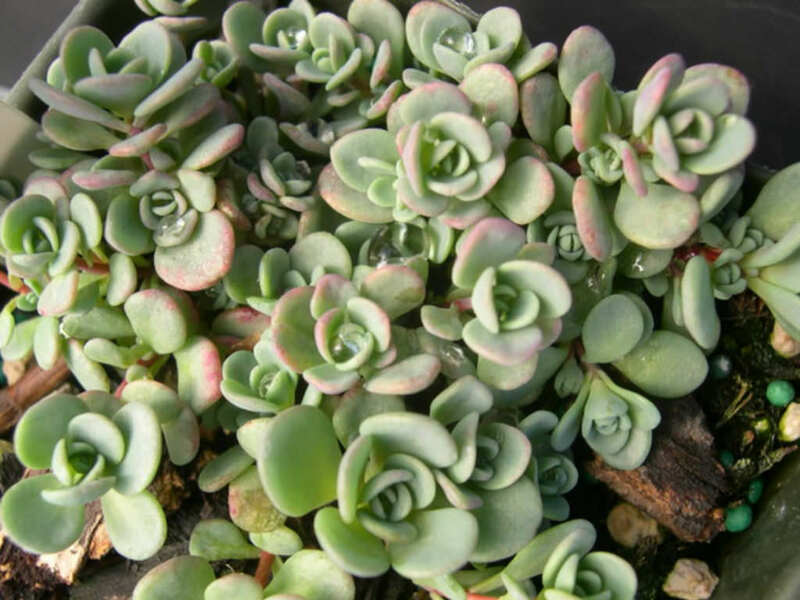 Hylotelephium pluricaule is small succulent plant, more or less deciduous mat-former, up to 2.4 inches (6 cm) tall. 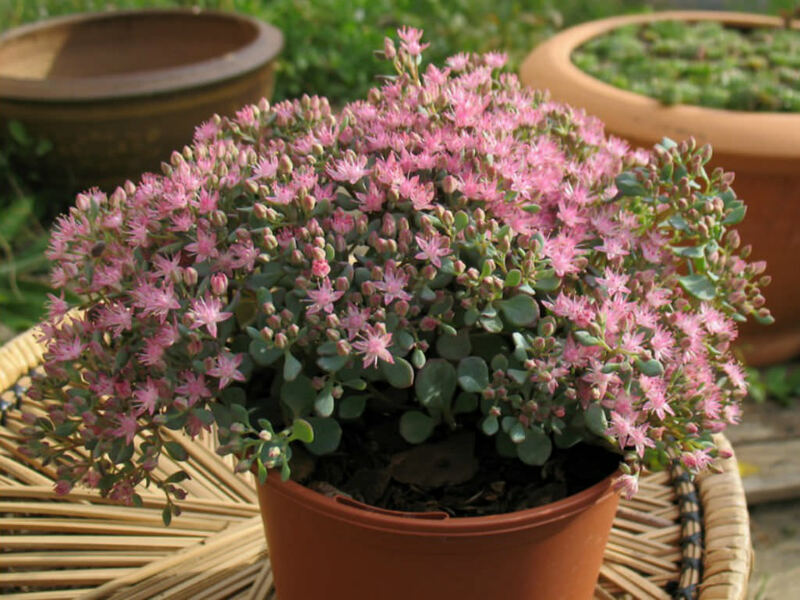 It forms a low mound of ovate, up to 0.4 inch (1 cm) long, blue-green, fleshy leaves, flushed with pink, densely arranged on short stems, offsetting clusters of pink star-like flowers in mid-summer. Dies back to the ground in the winter. 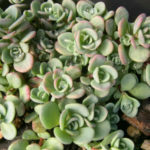 In the spring, new stems arise from the base of the old stems. 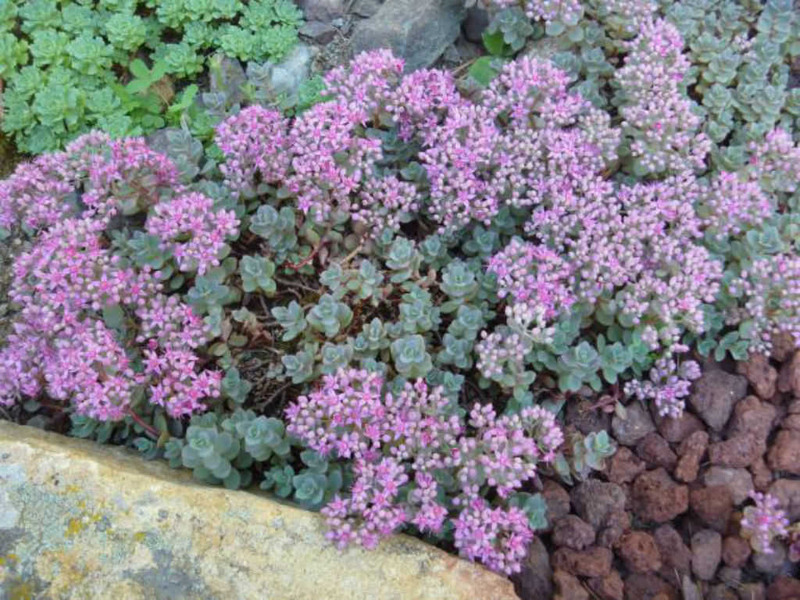 Sedum is easily planted. 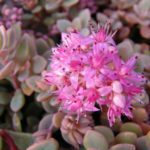 For shorter varieties, simply laying the Sedum on the ground where you want it to grow is normally enough to get the Sedum plant started there. They will send out roots from wherever the stem is touching the ground and root itself. If you would like to further ensure that the plant will start there, you can add a very thin covering of soil over the plant. 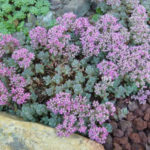 For taller Sedum varieties, you can break off one of the stems and push it into the ground where you would like to grow it… – See more at: How to Grow and Care for Sedum. 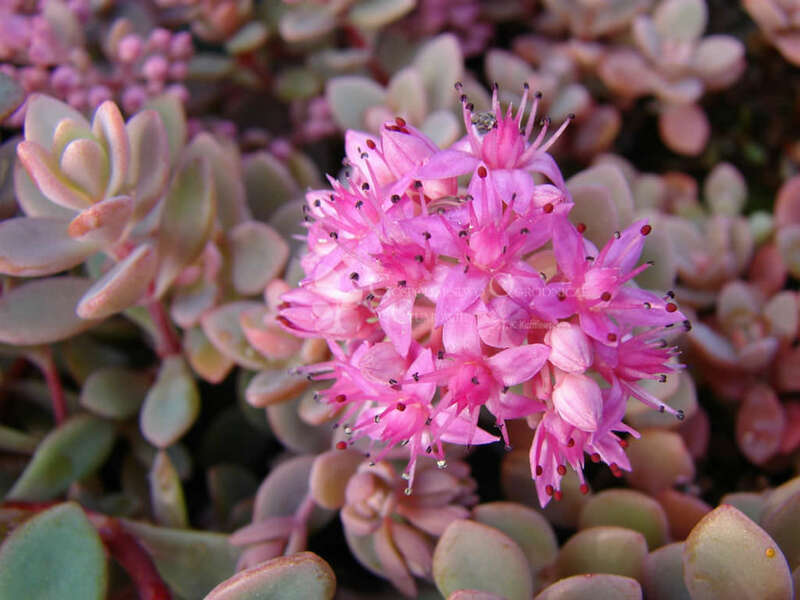 Native to the Russian island of Sakhalin in the North Pacific.